This is a rewriting of a post from the 50th anniversary of C.S. Lewis’ death in 2013. Lewis died on the same day as American president John F. Kennedy and English public intellectual and dystopian writer, Aldous Huxley. Though Lewis died an hour before the President was assassinated, the Lewises had lived privately and the story was lost in a swirl of international news. On this 55th anniversary it is Thursday, but on 11/22/63 it was a Friday. That great album With the Beatles dropped that Friday morning and the 1st episode of Doctor Who ran later that night. Lyndon B. Johnson would later be sworn in as the 36th President of the United States as condolences poured in from around the world. Meanwhile, two of Britain’s voices, including the Narnian himself, quietly slipped out of this world. The moment hit home for me on Aug 31, 1997, early in the morning on the East Coast. I can pinpoint where I was when I heard that Lady Diana died. It was a Sunday and I was on my way to church where I was a ministry intern. I was driving down a side road of the little community as my new wife and I were preparing to move to the village the next day. I remember the announcer’s voice, and the weather, and some sense of loss. “It really is poor timing on her part,” he said. “If she’d have thought it through, she might have waited,” he said. “A real mistake in marketing,” I said. On Feb 17, 2011, my grandfather died. It was a Thursday. Though Canadians are lacking in the area of great days, I feel free to borrow UK and, especially, American iconic moments. I remember all the minutes of 9/11. It was a Tuesday. I was in rural Japan when I heard from our American landlords what had happened. My wife and I drove to the top of a mountain to get the English radio station from the American installation at the Yokota Air Base on the Kanto Plains. Then we mourned with the motley crew of ex-patriots under the weepy trees of Karuizawa. It was an international day of grieving, but it was an American day. 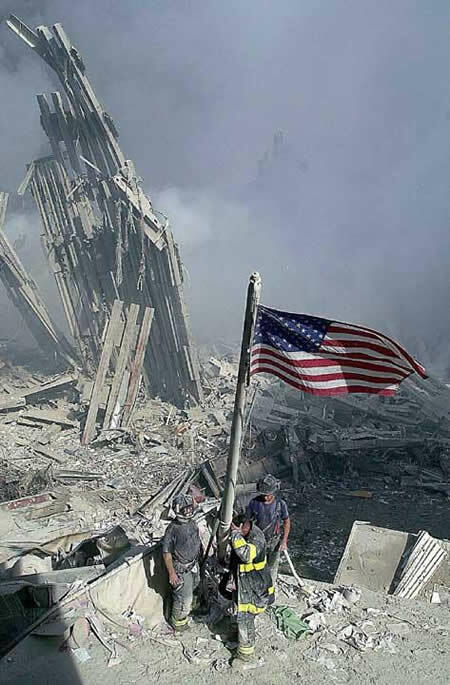 Though we came from all parts of the world, on 9/11 we were all kind of American. I am far too young to know the JFK moment as all middle-aged Americans do. 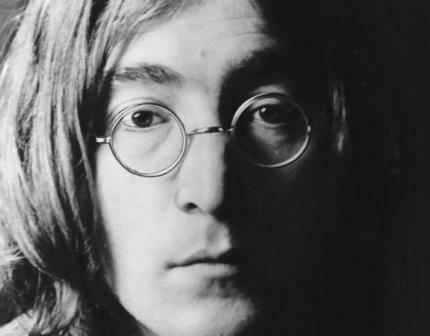 I think I remember the death of John Lennon, also an assassination. I don’t remember any details as a five-year-old boy, except a general sense of sadness in the house. Strawberry fields forever and the like. It was a Monday. In my own life, besides 9/11 and that week in June 1989 when things went bad in Tiananmen Square, there are dates I will never forget: Thursday, April 16, 1987; Sunday, Feb 4, 1990; Monday, Jul 2, 1990; Monday, Jan 3, 1994; Friday, May 9, 1997; Thursday, Nov 25, 2004; Friday, Feb 1, 2008. They are mine but they are not the world’s. No children salute as the motorcade of my memory travels by. Despite the impact of 9/11, which is shaping American culture and politics up to this very minute, the weight of American days in memory is still heaviest on Nov 22, 1963. The death of Kennedy, which keeps appearing in this blog on C.S. Lewis’ death, continues to appear in American consciousness. When he died in Dallas, the news overwhelmed all other news throughout the world. There were many things that happened that day. A police officer died with Kennedy, didn’t he? The Beatles released their second album. The political tides were shifting in Asia. Americans died in Vietnam as children there lost their homes. Many people in the world died that day, including Aldous Huxley, the author of Brave New World and dozens of other books. This was also the day that Wilhelm Beiglböck died comfortably in his home after having made a career out of doing live human tests on Jews in concentration camps as if they were lab rats, which in his mind they were. Most eyes were turned away from his death. Perhaps that is best. My grandfather quipped that Mother Teresa should have planned her death better. It doesn’t surprise me that she slipped away without much fanfare. She may not have thought she was worth the fuss anyway. I suppose my grandfather would also have criticized C.S. Lewis for his inopportune death. If dying during the week of Lady Di’s memorial was bad, dying on America’s 1960s day of days is even worse. But that is what happened. On Nov 22, 1963, while Americans were glued to their television sets and radios, the news that C.S. Lewis died quietly in his bedroom slipped out into the world. Lewis had been recovering from an episode in the summer, but his health faded quickly in November. Lewis was one week shy of his sixty-fifth birthday. when he died. It was a Friday. Almost no one paid attention to the death of one of the most popular authors of a generation. This probably would not have fazed Lewis, though he may have found it disappointing that neither his brother Warren nor his close friend Tolkien attended his funeral. I am not sure he ever really had a true sense of his importance as an author. He knew he was popular because he responded to the fan letters that poured in for years. But the popularity never truly settled within him. According to his step-son, Douglas Gresham, Lewis told his lawyer he didn’t need a literary estate since he would be forgotten in five year’s time. With book sales in the hundreds of millions—The Lion, The Witch, and The Wardrobe is steadily moving toward 100,000,000 copies alone—I would suggest Lewis underestimated his impact. If Lewis was forgotten on the day he died, it is no longer the case 55 years later. Five years ago, the semicentenary of Lewis’ passing became a year of jubilee. Beiglböck is mercifully forgotten. The Beatles are as important as ever, though I still miss John Lennon and they still aren’t as big as Jesus. Brave New World is a must-read, even if Aldous Huxley himself is obscured in time. 9/11 began a century—and closed one off, I hope—though I’m not sure Tiananmen Square did either of these things. Mother Teresa was canonized and Lady Di’s children are having children of their own. Doctor Who has nearly 850 episodes and is on its 13th doctor. All calendar pages turn, and in the end, all days are just days. 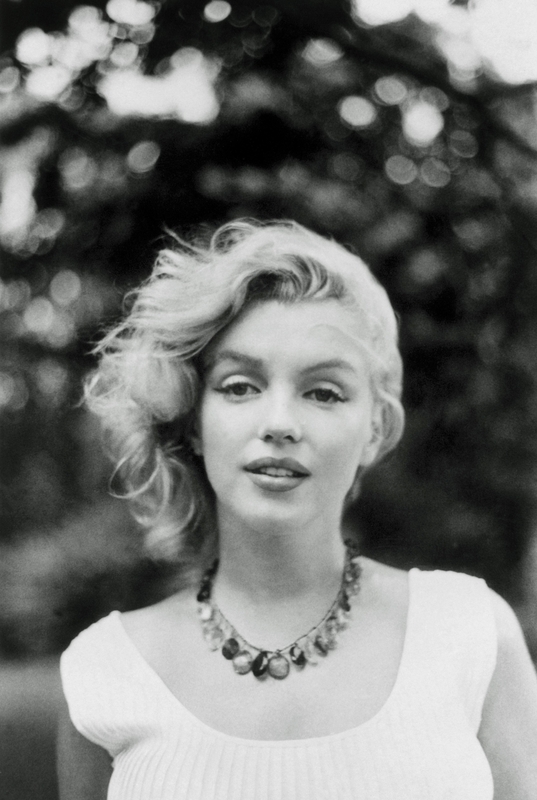 55 years ago, C.S. Lewis finished his last day with tea. J.F.K.’s legacy is Cuba and Vietnam, Marilyn Monroe and the Moon, and the audacious idea that it was an American’s duty to serve, not to be served. Lewis’ legacy is far more modest: Oxford and Narnia, tea stains, smoke rings, and a few good words. I wonder, though, as we pass the few decades, if Lewis’ legacy may not continue to rise, while the days of America’s visionary martyr will prove to have been too short. Perhaps JFK died too soon, or perhaps Lewis simply had more to say. Only the Ancient of Days can know for certain. The voices of great men and almost all women have passed away, no doubt. All stone turns to sand, I suppose. But I have a feeling that C.S. Lewis’ words are engraved in our human experience. So it is on this day that I think it is worth celebrating the artistic, literary, and spiritual legacy of C.S. Lewis. It is why I have dedicated years to helping American readers see the transformative project that Lewis undertook. And a few Canadians too, I suppose. This entry was posted in Lewis Biography, Reflections, Thoughtful Essays and tagged 11/22/63, 9/11, Aldous Huxley, Brave New World, C.S. Lewis, Canada, Death, Doctor Who, Independence Day, John F. Kennedy, John Lennon, Lady Diana, Mother Teresa, Narnia, The Beatles, Tiananmen Square. Bookmark the permalink. I remember November 22nd 1963 very well. The assassination of John F Kennedy was probably the moment in my life when I first realised that life can go wrong and that death is a reality. I also watched the first episode of Dr Who on our black and white TV set and found the final scene in which the time travellers are confronted by cave men and women very frightening. I had nightmares that night and my mother promptly banned Dr Who. I think that perhaps she was feeling very upset about the assassination too (everyone was!) and needed to express it. It was not until I watched the first Daleks adventure at my friend’s house and came home full of excitement that the ban was lifted. I certainly had that effect, the feeling that authors must have existed a long time ago and in a land far away. I was an adult, unfortunately, before Dr. Who. In my childhood rural two-channel universe it was just not there. I wasn’t born in 1963 so I don’t remember the deaths of Kennedy and Lewis and Huxley. Lewis and Huxley have been big influences on me though, and so has Doctor Who. I do know exactly where I was when I heard of the death of Princess Diana, and it felt as if reality had just abruptly jolted in a new direction. You’ll like this: my next post is #847, the same as the number of Dr. Who episodes. Your thoughtful account somehow made me think Lewis was ‘Sarah Smith-ish’ on 22 November 1963, but, as you say, “I wonder, though, as we pass the few decades, if Lewis’ legacy may not continue to rise”. Who has what breadth – and depth – of recognition or recollection, in what circumstances, as time goes by?